Are you considering carrying out home refurbishments? If so, you’ll want to enlist the most professional contractors. At Franks Maintenance Group, we have a wealth of experience in many kinds of home refurbishment from conversions to decorating. We have a diverse team with a range of skills to help you achieve your dream home. Choosing to undergo home refurbishments can be a daunting process. However, with our expert team at Franks Maintenance Group, we can find cost-effective and simple solutions to transform your home. If you’re bored of the way your home looks, or just want to give it some TLC, then a home refurbishment is a great way to inject new life into your property. We offer a bespoke home refurbishment service which is completely tailored to your needs. Our expert team will work alongside you from design through to implementation to ensure you are involved in all the decisions every step of the way. The design team can help you make the most of your property by advising you on how to utilise space and light in the best possible way. Whether you are looking to convert your loft or install a new kitchen or bathroom, we understand that home refurbishments are a big commitment. The team at Franks Maintenance group want to ensure that you have a hassle-free experience when renovating your home, which is why we take care of every last detail. Whether it’s a new dining room or a conservatory extension, our expert team for home refurbishments will source the highest quality materials for you to choose from when extending your home. We will find the most suitable materials so that your extension blends into your existing foundations seamlessly for a polished finish. Bathrooms are rooms which we use every day, yet can sometimes become neglected. At Franks Maintenance Group we can design and install a sleek and sophisticated bathroom that will complement your home. From invigorating power showers to relaxing bathtubs, we have something to suit everyone’s style and budget. Our home refurbishments contractors specialise in bespoke bathroom installations for both domestic and commercial properties. Whether you want to install a few new features or completely renovate your bathroom we have a range of contemporary and traditional designs to suit all decors. When you choose us for your bathroom home refurbishments, we provide a comprehensive service for everything from the design to the installation and finishing touches such as decoration and electrics. We guarantee you’ll be spoilt for choice when you browse our range of features including taps, tiles, basins and showerheads. Kitchens are a staple feature in the home, used every day by all the family. For many, a well equipped kitchen is essential when choosing a home. If you’re looking to extend or renovate your kitchen our team of home refurbishment contractors can help you achieve your dream kitchen. We have a range of kitchen designs to suit all styles and budgets and will take care of everything through to the last finishing touches. We endeavour to provide a cost-effective and comprehensive service that will give you a kitchen that would make even the top celebrity chefs envious. 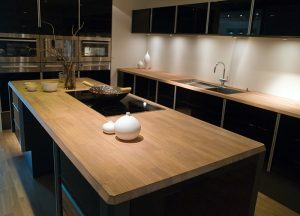 Your kitchen will be made to order so that your surfaces and appliances all fit seamlessly within your home. Whether you want a full design service or just want to install some new features, our contractors will work quickly and efficiently with minimal disruption to your day-to-day schedule. Don’t forget that your garden is just as much a part of your home as the rooms inside it. At Franks Maintenance Group our home refurbishments team also have a great deal of experience in gardening, landscaping and paving. If you want to get your garden in shape for the summer then why not enlist the help of our professional landscaping service. We can give your garden a complete makeover or install individual features to enhance your outdoor space. Having a well-maintained garden will add value to your property, and we guarantee you won’t regret your decision once summer rolls around. If you’re unsure what to do with the space you have, give our team a call, and we can provide a FREE inspection and quotation for your intended project. At Franks Maintenance Group we are passionate about providing exceptional customer service and fantastic home refurbishments for our customers. We have extensive experience in both the domestic and commercial sectors, allowing us to bring new and innovative ideas to your interior and exterior designs. As well as our home refurbishments we specialise in facilities management and repair and maintenance services for commercial buildings. If you have an urgent repair such as a leak, then call our 24/7 emergency service for immediate repairs. Our engineers provide a fast, friendly and effective service and we have the knowledge and tools to fix any problem around the clock. If your building requires regular maintenance, then you can benefit from our monthly contracts. Our maintenance plans are tailored to your business’ needs and we can cater for buildings of all sizes. Each one of our engineers is gas safe and OFTEC registered, so you can rest assured you are receiving the best standards of workmanship every time. If you are interested in our home refurbishments or our other services, speak to one of our expert team who will be happy to provide you with a FREE quotation at your request. For a professional home refurbishments service, get in touch with Franks Maintenance Group. Call us on 01747 826656 or email us at info@franksgroup.co.uk.